Let’s be honest here and call rock climbing what it is: a cult. Ritualistic indoctrination? Yep. Tight-knit community? Yes. Excessive zeal and unquestioning commitment? Check. Arcane jargon? You bet. But if you hear a friend or family member dropping terms like “onsight” or “dyno” in everyday conversation, don’t panic. They’re just starting their journey with one of America’s new favorite sports. Unless you’re panicking about what to get them for the holidays, that is — because odds are they’ll be making requests for unfamiliar gear of all kinds. Maybe they’re just starting climbing. Maybe you know a veteran rock warrior. Maybe you’re even a rock climber yourself, looking for the perfect gift for your belaytionship partner. Regardless of your situation, we’ve compiled a list of our favorite gifts for rock climbers and boulderers, organized by the level of zeal (ahem, experience) of the climber in your life. Your climber is just beginning their journey, but clearly going to stick with it. The right gear will help them on their way. The first few times in a climbing gym, most climbers start out with rental shoes. They’ll work fine, but they’re usually limited in ability (not to mention fit). More to the point, they cost money to rent. Because of this climbing shoes are one of every climber’s first purchases. The La Sportiva Finale shoes are our top pick in our guide to the best beginner climbing shoes. They’re precise enough to grow with a new climber’s abilities, but versatile enough to handle all types of terrain. It’s always worth trying on shoes beforehand, but the Finale’s lace-up system allows climbers with different foot shapes to dial in the right fit. 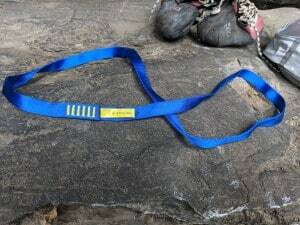 After buying shoes, tracking down a climbing harness is the next step for beginning climbers (as long as they’re not limited to the bouldering wall). For climbers who top-rope or lead climb, a harness is another piece of gear that gets used on every climbing day, so it’s worth finding one that’s comfortable. The Black Diamond Solution is a nice balance of comfort, versatility, and budget. Fixed leg loops are low-maintenance for gym days, but the Solution’s gear loops are big enough to handle gear should your climber venture outside. Of course, just as important as a harness is the device on the other end of the rope. Belay devices are what keep climbers off the ground when they fall, and they’re diverse in form and function. For gym use, the Black Diamond ATC-XP is a competent and budget-friendly pick. It’s our best value pick in our guide to the best belay devices. The C80’s deep, wide basket makes a difference for large-handed climbers. 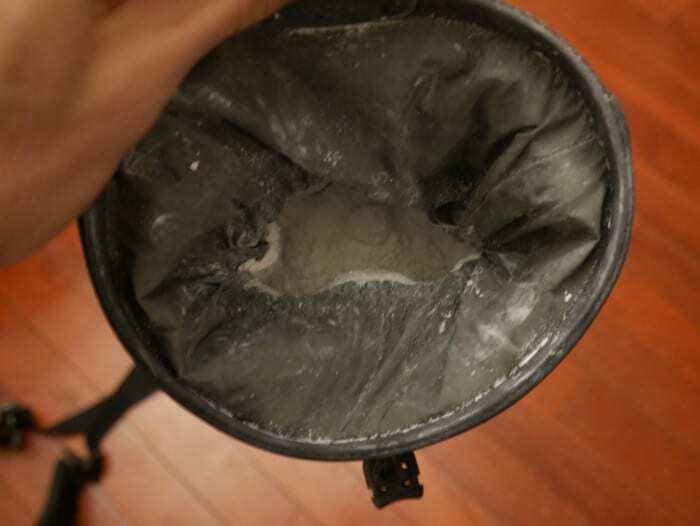 Rounding out every climber’s essential equipment is the loyal chalk bag. Chalk bags have a simple job: hold climbing chalk to keep a climber’s hands dry. Good options abound, but the Arc’teryx C80 is our favorite chalk bag. The Petzl Saka is a little easier on the wallet and still an excellent choice for most climbing needs. If your climber has a big personality, find them a unique chalk bag to match. Inside every chalk bag and bucket must be plenty of chalk. Every climber gets sweaty, and no one likes to grease off of holds. Surprisingly, not all chalks are created equal. We did a blind test of seven different brands of climbing chalk, and FrictionLabs came out on top. Early in a climber’s career, opportunities to learn abound. Most gyms offer classes on topics like climbing technique, injury prevention, and outdoor climbing skills. These classes can be an accessible way to expand horizons and improve as a climber. Many classes are free for gym members, but others require a fee and make an excellent gift. If a burgeoning climber doesn’t have a gym membership, a punch pass or short-term membership goes a long way. Especially in wintry areas, access to a climbing gym is all but essential. If your climber doesn’t have a go-to gym yet, check out our climbing gym directory to find one close to you. Your climber is knowledgeable and committed. They may not be climbing El Cap yet, but they know their way around the wall. From boulderers to trad climbers, every climber loves a good pair of pants. Good climbing pants must be durable, breathable, and highly mobile. 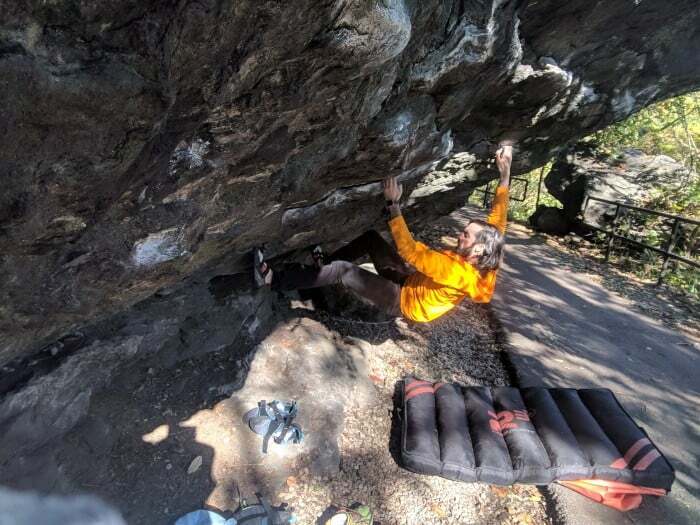 In our roundup of the best climbing pants on the market, prAna’s classic climbing pants reigned supreme. They move exceptionally well, have just the right features for climbing, and boast impressive durability. For a serious (roped) climber, a Grigri is worth the investment. Grigri devices offer assisted braking, which takes the strain off a belayer’s hands and, in some circumstances, makes for a safer belay. Sport climbers swear by the Grigri, but it’s a versatile device in many types of climbing. Despite remaining unchanged for years, it’s still our top pick in our guide to the best belay devices. The wide flange on the Pro Key is perfect for nudging difficult nuts. If your climber is interested in trad (short for traditional) climbing, a nut tool should be among their first purchases. Nut tools are what climbers use to remove protective gear from cracks and fissures. There are two main advantages to buying a nut tool early. First, it makes you an attractive climbing partner. If you have a nut tool and are willing to clean gear on follow, many experienced climbers will be happy to share their knowledge. Second, nut tools allow you to free abandoned gear — which can form the beginning of your very own trad rack! The Wild Country Pro Key is our favorite nut tool, and it can be bought with a leash to prevent accidental drops. 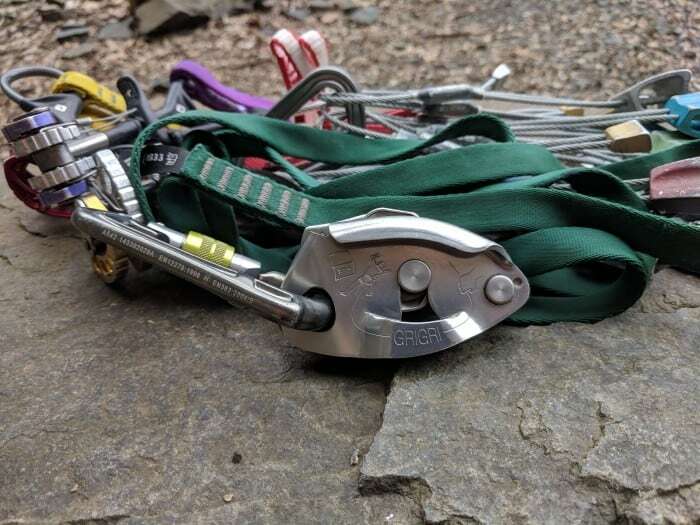 For climbers who want to try climbing outside, an anchor setup is another essential purchase. Just like a nut tool, having anchor gear (and knowing how to use it) makes you a more desirable climbing partner. Some climbers opt for a PAS, but we prefer a simple sling or two. Sterling makes our favorite nylon sling. Paired with a couple Petzl Attaches, our favorite locking carabiner, this gear can be used for everything from trad climbing to top-ropes. Most serious climbers — and certainly every boulderer — can benefit from a good climbing brush. Brushes clean the chalk and grime off of dirty holds, and they can make a real difference on project climbs. The Sublime Slimline walked away with both the top pick and best value awards in our roundup of the best climbing brushes. It’s practical and versatile, and for the price it can’t be beat. For the serious boulderer, a solid chalk bucket is a must have. Buckets hold more chalk, allow two-handed access, and prevent chalk from being wasted. Organic’s bucket design is a time-tested favorite in the bouldering world. The closure system is simple velcro, and the 1000D nylon fabric is durable enough to last for years. 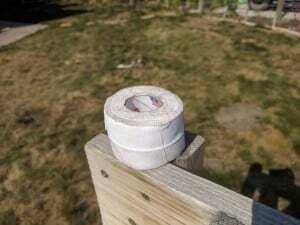 Climbing tape is another essential piece of gear for nearly every climber. Trad climbers make tape gloves, and every climber needs to protect their worn digits. The Metolius Climbing Tape is our top pick for an all-around climbing tape. It works well for tape gloves, but it’s just as capable in use every day at the gym. It’s another time-tested option, and it’s budget-friendly to boot. Your climber is a devotee. They’re serious about their climbing, and they have experience both indoors and out. A removable bar makes application convenient and enjoyable. Especially outside, climbing takes a toll on the skin. 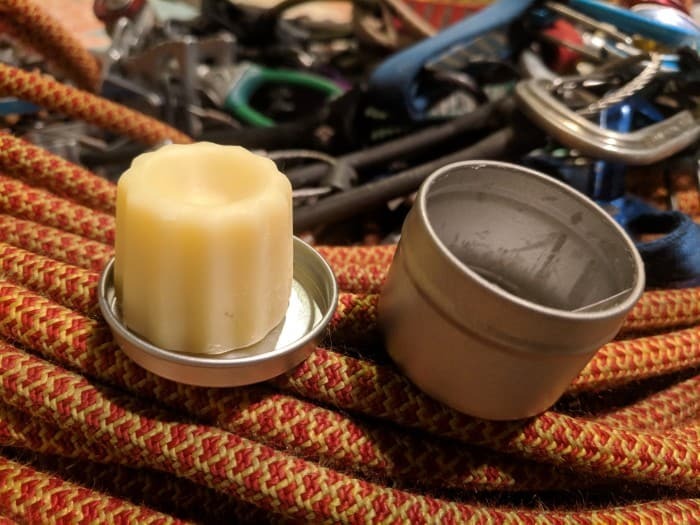 Serious climbers take skin recovery seriously, and a climbing salve makes a noticeable difference. Conventional skin moisturizers soften skin, which isn’t ideal for climbing — dedicated salves help skin recover without softening skin or callouses. After a test of the best options on the market, we declared ClimbOn’s Original Bar our favorite. It’s easy to apply, a reliable recovery aid, and among the cheaper salves. For most serious climbers, training is an essential part of the schedule. Hangboarding is one of the best ways to build finger strength and endurance. For dedicated trainees, the Trango Rock Prodigy Training Center is among the best options available, and it’s our top pick in our guide to the best hangboards. It offers an excellent hold selection, with enough customizability to match each individual’s training goals. For bonus points, pick up the accompanying training book: The Rock Climber’s Training Manual. If your boulderer is adventuring outside, they can use a good crash pad. Crash pads protect boulderers from falls, but they also double as backpacks, seats, and even mattresses. The Mad Rock R3 has a unique baffle design that helps it conform to terrain. It protects falls well, and it’s thick enough to work on a variety of problems. There are a few good pads on the market, but the R3 is our top pick. Where would climbers be without ropes? A good rope is mandatory on ascents from short sport routes to long alpine epics. 9.8mm is a good all-around thickness — thin enough for sport climbers working on projects, but beefy enough to withstand some abuse on trad climbs. The Mammut Eternity is a light and versatile pick, and it comes with various levels of dry treatment for alpinists. 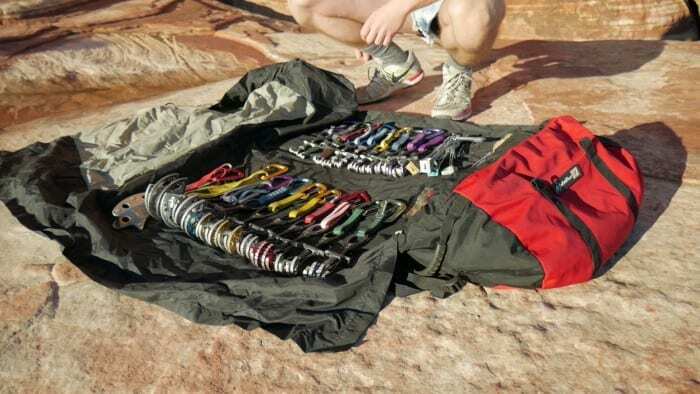 Quickdraws are essential equipment for any variety of roped climbing. They link the gear in the wall to the climber’s rope, allowing movement but providing protection. Petzl’s Spirit Express draws are the Mercedes of sport climbing. Thick dogbone connectors are easy to grip, and the Spirit carabiners are among the best on the market. Rack your climber up with 6 to 12 of these and they’ll be thanking you for years. There’s a reason the Spirit Express took home top honors in our guide to the best quickdraws. It may seem odd to have a dedicated shoe for getting to the wall — it’s just a hike, right? But many cliffs require serious scrambling (or even some technical climbing) to access. Approach shoes are soled with sticky rubber, which makes them more reliable than traditional hikers on steep terrain. Approach shoes aren’t limited to the approach — route setters at a gym frequently work in approach shoes, and some climbers use approach shoes to climb on longer routes or traverses. As always with shoes, it’s best to find a good fit before purchasing. But with a good set of approach shoes, your climber will be more comfortable and more confident journeying to and from their ascents. This year has been a banner year for climbing movies. What with all the (deserved) hype over Free Solo, another excellent movie has flown more under the radar. The Dawn Wall chronicles Tommy Caldwell and Kevin Jorgeson’s attempt to free-climb the infamous and steep Dawn Wall of El Capitan. It has all the hallmarks of a good climbing film: a plot full of twists, compelling central characters, and lots of sweat-inducing footage. It’s an inspiring movie, and well worth a watch. Your climber has made climbing a priority in their life. It may be hard to get through a conversation with them without climbing coming up in some way. They’re highly experienced and have major climbing goals. For the climber who’s really serious about skin care, a file is a must. Given time, callouses will build up and then tear off on sharp rock. That’s painful, but (to your climber, probably more importantly) it slows down skin recovery. The solution is to file down callouses before they get large enough to tear off. The Climbskin file is curved to make filing fingers easy and comes with six different types of sandpaper. As an alternative, a good pumice stone also helps with callous treatment. Of course, climbers need some way to carry all that gear. Larger objectives will require a larger pack, but the bite-sized REI Flash 18 is a worthy tool in the arsenal of almost any climber. The uses for this little pack are surprisingly numerous. It’s small and light enough to be worn on a long, multi-pitch ascent. It’s spacious enough to fit the essentials, but it will still stuff inside a crash pad for a day of bouldering. It even packs small enough to slide inside a larger pack as a summit pack. And of course, it works just as well for day hikes or travel. Best of all, it’s reasonably priced for a climbing bag. In the world of trad climbing, protective gear carries special significance. This is the gear that trad climbers place in cracks to protect themselves if they fall. Black Diamond’s C4 cams have been the gold standard for years. They’re the most common cam at most crags, and for good reason — camming range, ease of use, and durability are all top-notch. Even a single cam is a welcome addition to a trad rack. Ask your climber what size(s) they need before buying. In the gym, conditions are controlled and constant. Once climbing moves outdoors, the elements come into play. Climbing conditions are ideal during the cooler months of spring and fall, when friction is high but the temperature is hospitable. Having the right set of layers makes a real difference. The Outdoor Research Ferrosi is one of the most versatile jackets on the market. It’s light and breathable, but surprisingly weatherproof. It won’t block out water like a rain jacket or hard shell, but it will fend off drizzle and cut wind like a champ. In the chillier months, it’s just the ticket for days outside. If your climber is a bookworm, snag a book that will keep them gripped. The Push is Tommy Caldwell’s memoir, and it’s an engaging read for more than just the climbing. It’s a story of overcoming setback after setback, and it’s compelling on a human level as much as an athletic one. There are plenty of other good climbing reads, whether it’s for technical instruction (try Mountaineering: Freedom of the Hills), inspiration (The Trad Climber’s Bible), or reference (the guidebook to your climber’s favorite area).